Have I mentioned yet that I really like purple polishes? Or holos? Hrm, maybe I have. This mani combines most of my favorite things! Purple! Scattered holo! Holo glitter! Stamping! After struggling a little bit with the base of Love, Angeline’s “Young Love” (review here), I decided to zazz things up with a little bit of stamping. I’ve been really digging UberChic’s plates lately, so I grabbed one of the plates from Collection 2 (2-02) to experiment with the two wavy patterns. In an effort to make it a little bit more psychedelic (because why not? 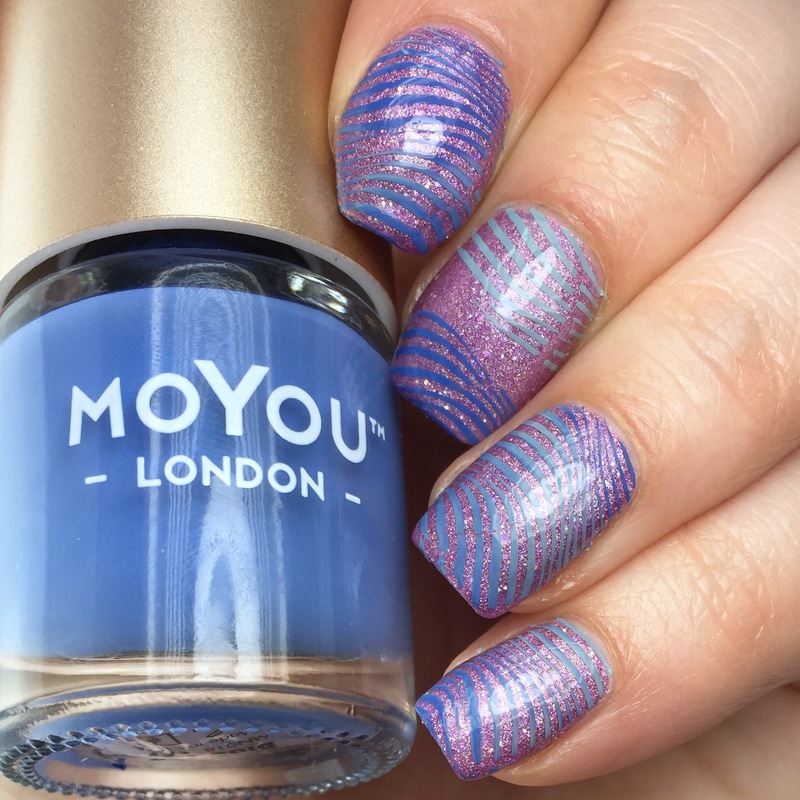 ), I used two different stamping polishes on the plate (MoYou London “Blue Jay” and “Dusty Cloud“) and scraped in different directions so they blurred together. Is it nail high art? Mmmm, probably not. But hey, I’m working on it! 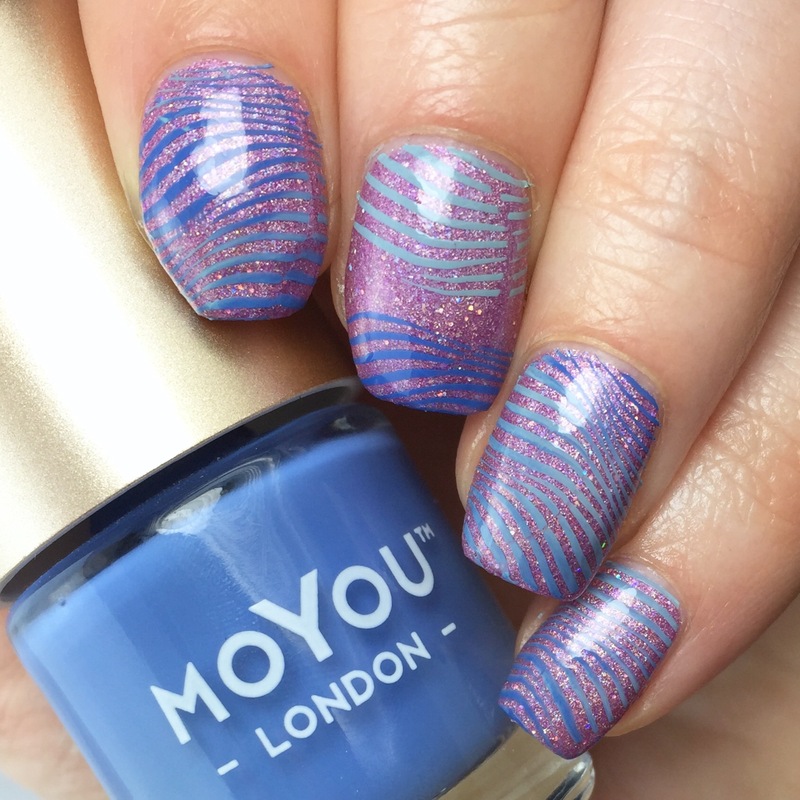 I do like how the blue stamping cremes bring out the holo microglitter in the base polish, though! What do you think? 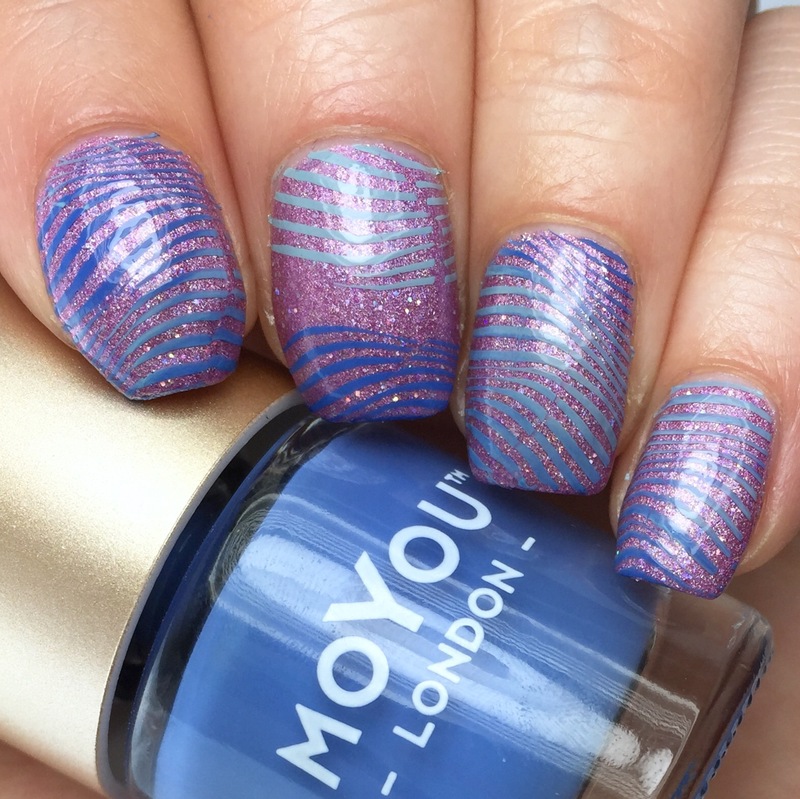 Do you like the blurred stamping polishes, or should I stop trying to make “fetch” happen?